3237, Hubcap used, 15", 03-05, CHEVY, CAVALIER, OPT PG1, SPARKLE SILVER, 5 RAISED SPOKE, 5 FAKE LUG NUTS, ENGRAVED BOWTIE IN CENTER, 1 ROUND HOLE BETWEEN EACH LUG NUT IN SPOKE, LUG NUT RETAINING CLIPS USED. 3781, Used Rims, 17X7-1/2, 6 LUG, 135 MM, 09-10, FORD, F-150, F150, 5 SPOKE, 5 RAISED SPOKE, MACHINED AND PAINTED SILVER, ALLOY. 3781-1, CENTER CAP, USED, 09-11, FORD, F150, F-150, CHROME PLASTIC CAP, 5 RAISED SPOKES MATCH SPOKES ON WHEEL, BLUE FORD OVAL, 7-5/16" DIA. 3781-1, CENTER CAP, USED, 09-11, FORD, F150, F-150, CHROME PLASTIC CAP, 5 RAISED SPOKES TO MATCH SPOKES ON WHEEL, BLUE FORD OVAL, 4 PLASTIC LUG NUT CLIPS, ALIGNMENT PIN, 7-5/16" DIA. 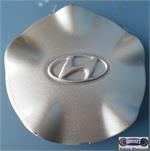 4080, HUBCAP USED, 14", 81-88, OLDSMOBILE, CUTLASS, RWD, CHROME W/ MACHINED FACE, GRAY, SLOT TYPE. 5 SPOKE RAISED LOGO, METAL CLIPS. 4080, HUBCAP USED, 14", 81-88, OLDSMOBILE, CUTLASS, RWD, CHROME WITH MACHINED FACE, GRAY, SLOT TYPE. 5 SPOKE RAISED LOGO IN CENTER, METAL CLIPS. 5329, USED RIM, 20X8-1/2, 6 LUG, 5-1/2", 07-11, CHEV, GMC, CADILLAC, AVALANCHE, SIERRA, DENALI, 1500, SUBURBAN, TAHOE, YUKON, ESCALADE, CHROME, ALUM, 5 RAISED CENTER SPOKES.